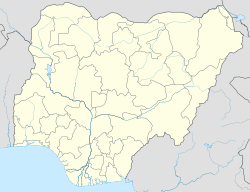 Benin Ceety (Inglis: Benin City) is a ceety (2006 est. pop. 1,147,188) an the caipital o Edo State in soothren Nigerie. This page wis last eeditit on 11 Mairch 2018, at 17:46.